The New LED illuminated Art & Craft Light Boxes from Artograph. 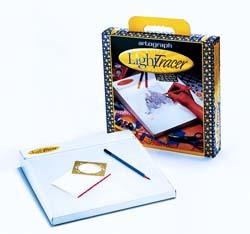 Take your projects to the next level with the new LightPad series art and craft light boxes. 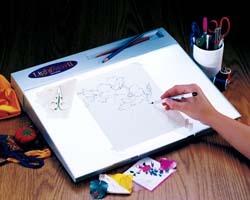 The super-bright, cool and evenly illuminated surface gives you the perfect platform to get your ideas off the ground. 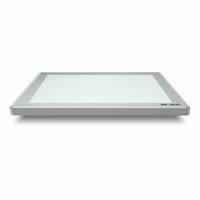 The new LightPad series is build to last a lifetime with LED technology that saves energy and means you'll never have to replace lamps again! Comes in 4 different sizes shown.